Has his way with me all night long. My new year commitment: I will be blogging at least every Monday. . .appreciate your visits & comments. New Mexico Magazine, $27.95, 136 pp. Sharon Niederman’s long-standing interest in food and travel converge in this engaging quilt of a book that is part travelogue, part cookbook and part cultural history. A former Albuquerque resident who lives in Raton, Niederman takes the reader on a ride to eateries, homes and other locales around New Mexico. In one section, she heads to Pietown, where she introduces the Daily Pie Cafe and the Pie-O-Neer Café. She interviews Kathy Knapp, who runs the Pie-O-Neer. The book contains her recipes for New Mexico Apple Pie and the French Pear with Ginger Pie. The town, as the book explains, is on a 102-mile stretch of U.S. 60 west of Socorro. “In a refreshing change of pace, not a single fast-food establishment is in sight,” Niederman writes of the roadway, and then pursues a bit of sightseeing. Check out, she writes, the “haunted ruins” of the Kelly Mine, Magdalena’s deserted stockyards and Charles Ilfeld’s warehouse. Isn’t the warehouse abandoned, too? In another segment, Niederman writes about the popular watering hole Chope’s Bar & Café, in La Mesa, south of Las Cruces. She relates Chope’s family history and serves up its recipe for Chiles Rellenos. Then the book declares enigmatically, “Las Cruces may be the New Orleans of New Mexico cuisine.” Huh? Niederman doesn’t support this throwaway speculative comparison; Chope’s is the only restaurant mentioned here. The book also takes the reader to private homes and public events. One family event mentioned is the Glenwood Dutch-oven cookoff. 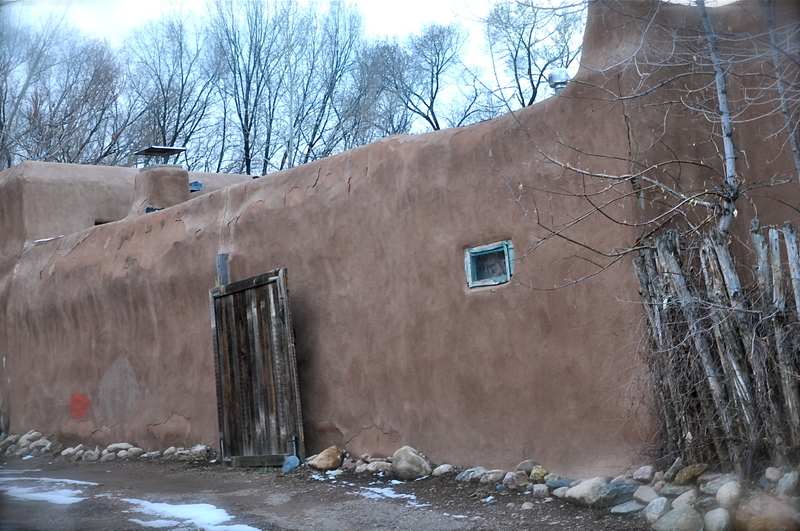 That gives Niederman an opportunity to discuss the Dutch oven’s role in New Mexico cooking. The Dutch oven recipe here is Jane Shafer’s Arroz con Pollo. She is part of the Shafer Gallacher Ranch in Lincoln County. The book refers to the public food-buying events known as farmers’ markets. One section talks about urban gardening, focusing on the prolific, diversified, award-winning fruits, vegetables and flowers of the Albuquerque couple Jeanne Whitehouse and David Kammer. Among other sections are those on the horno and a narrative about latkes, with the author’s recipe for the traditional Hanukkah dish. David Steinberg is the Journal Books editor and an arts writer. Sharon Niederman discusses, signs “New Mexico Tasty Traditions” at 4 p.m. Saturday, Dec. 4, at Collected Works, 202 Galisteo, Santa Fe; at 3 p.m. Dec. 5 at Bookworks, 4022 Rio Grande NW; and at 2 p.m. Dec. 12 at Tome on the Range, 158 Bridge St., Las Vegas, N.M.
Teatro Paraguas in Santa Fe, which produces multicultural performances, will stage three readings of Jim Sagel’s works in Albuquerque, Santa Fe, and Espanola in December. Below is a link to the theatre’s website with information about these performances. For further information, contact Argos MacCallum at 505-424-1601. In his recent book about Espanola, UNM American Studies professor Michael Trujillo wrote a chapter about Sagel. The book is entitled Land of Disenchantment: Latina/or Identifies and Transformations in Northern New Mexico. Dr. Trujillo will speak about his book at the National Hispanic Cultural Center on Saturday, December 4, at 2 PM. 1. Please introduce yourself – we like detail. Hi Sharon! My name is Isabel, and I’m currently a student at UNM, majoring in religious studies and minoring in anthropology. I’m also involved in Santa Fe Community College’s woodworking program. My scholastic history is a torrid one, and UNM is actually the fourth college I’ve attended. I spent my freshman year at Antioch College (which was also the last year that Antioch was operational) and I still define myself as an Antiochian. Antioch was a pretty wild place to be, but the school’s motto “Be ashamed to die until you have won some victory for humanity” by Horace Mann, was pretty much taken to heart by everyone who went there, even if it was in some secret, small way. We would never wear shoes because/we didn’t want to lose the feeling of the earth on our soles/over gravel, mud, and potholes we would let/the spaces between our toes record the joys of our journeys.